This is a new page that I've added, purely because I read a lot, and stumble across lots of silly or interesting facts and stories. And I like sharing those stories! So check back every now and then, you never know what you'll find - but it WILL be interesting! festival for men, and men only. Some of the games were vicious and players could and did die. got the first grip and held the champ with his legs, squeezing him around the neck to strangulation. Arrhachion the winner because his opponent gave up. It was only fair. And they crowned the corpse. 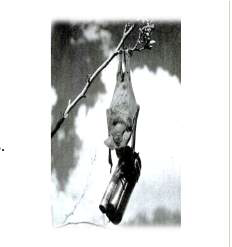 In 1942 a friend of US First Lady Eleanor Roosevelt proposed a scheme to bomb the enemy with bats carrying tiny bombs. The idea was devised by a dentist named Lyle S Adams. As strange as the plan seems, it gained traction in President Franklin Roosevelt's government, which devoted an extraordinary amount of resources to it. The idea was that a special bomb casing would hold 1,000 bats, and each of those bats would carry a tiny bomb. The big bomb would open and release the bats, and off they went flying all over the enemy city. The bats then gnawed off the string holding the tiny bombs and the bombs would drop all over the city starting thousands of fires. In one test, the bats managed to incinerate the test site. Not surprisingly, the project was scrubbed. Many of us spend a lot of time generally faffing about online. Even when we feel as though we should be doing something more constructive, well, pffft, sometimes we’re just not in the mood, right? Thinking about that, and doing some of my own faffing about, I stumbled across the sites below. So when you rreeeaally want nothing to do … these sites all seriously have no use or purpose other than to waste time - can’t say I didn’t warn you! NOTE: apologies but you'll need to copy and paste the addresses into your address bar, as usual for me with anything remotely techy, the links just wouldn't work! 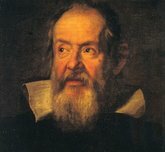 Galileo - one amazing man! Fumbling around on my laptop on a particularly cloudy Sunday morning I happened to find out much more about this famous fellow, and as I often do, I've decided to share. Now I’m sure you've heard of Galileo - we all sing along with the Queen song ‘Bohemian Rhapsody’ (Galileo! Galileo!) don’t we? - but if like me that’s about all you really know then you might be interested to learn the remarkable story surrounding his most noted discovery. My readings of the story show that in saying the Earth went around the Sun, Galileo had contradicted the church’s teachings and while some members of the church agreed that his observations were correct, the majority were convinced that he was wrong. At that time, only church priests were permitted to interpret the Bible - it was the 1600s and unthinkable that a member of the public would say any different. And so, at 68 years of age, and sickly, the unfortunate Galileo was accused of heresy. “ … I abjure with a sincere heart and unfeigned faith, I curse and detest the said errors and heresies, and generally all and every error, heresy, and sect contrary to the Holy Catholic Church … “. After Galileo’s 'confession', legend tells us that he muttered "And yet, it moves". If that is so, risking torture, we can only assume that he must have been either the most foolhardy man of his time, or one incredibly brave man! Today, Galileo Galilei remains most recognised for saying that the Earth went around the Sun.